Nine undergraduate engineering students from Universidad de La Sabana, Colombia, along with eight NIU students, recently completed a short-track program at NIU on simulation modeling and analysis. 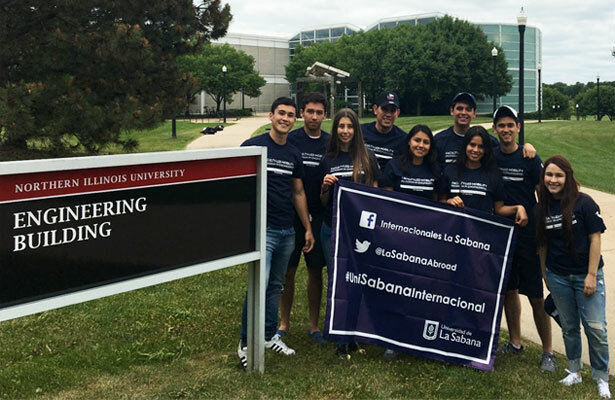 The three-week intensive program, which ran from June 26 to July 15, was offered by NIU’s Department of Industrial and Systems Engineering in collaboration with the Universidad de La Sabana in Colombia and NIU’s International Training Office (ITO). The students were accompanied by Luis Alfredo Paipa, an industrial engineering faculty member from Universidad de la Sabana. The program was funded by the U.S. Department of State’s 100,000 Strong in the Americas initiative in an effort to support bi-national educational and industrial relations. Reinaldo Moraga, associate professor of industrial and systems engineering, designed the program to give students the opportunity to gain a deeper understanding of the techniques behind the industrial process, and gain practical skills in designing simulation models. 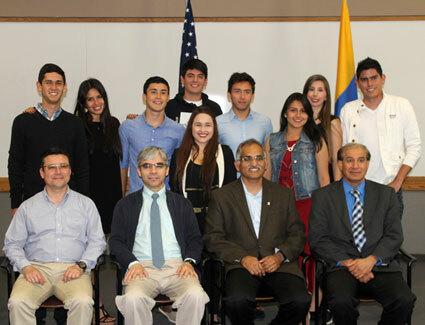 The course also fostered international relations by having the Universidad de La Sabana students work and study with American peers from NIU’s industrial and systems engineering program. In addition to their course work, the students enjoyed a number of field trips and cultural activities facilitated by the ITO. The students stayed with local host families to experience American culture firsthand, and enjoyed trips to the Caterpillar plant in Aurora and to numerous landmarks in Chicago. The students were honored July 15 at a ceremony in the Campus Life building. Mansour Tahernezhadi, associate dean of the College of Engineering and Engineering Technology, presented them with Certificates of Achievement; Purush Damodaran and Paipa addressed group. Students and faculty all agreed the program had been a great success. Next Post:Want to boost visibility of programs, initiatives, events?